Hyundai has plans to introduce a new fuel cell vehicle in 2018 and intends to sell this vehicle for nearly half the price of its current offering. The South Korean automaker has already launched its first vehicle equipped with a hydrogen fuel cell: The ix35. This vehicle has experienced a modest degree of success, exposing consumers to new clean vehicles that have shown a great deal of promise. The ix35 is priced at approximately $54,000, but Hyundai wants to make fuel cell vehicles more accessible to consumers by offering a less expensive option. 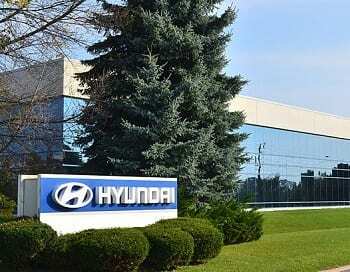 The new fuel cell car from Hyundai is expected to cost approximately $29,000. The vehicle will be even less expensive thanks to subsidies being provided by the government. The new vehicle will also be more efficient, able to travel some 373 miles before needing to be refueled. Hyundai plans to demonstrate the capabilities of this vehicle at the upcoming Winter Olympics, which will be hosted in South Korea. Eventually, the automaker will bring its new vehicle to markets outside of South Korea, building upon the momentum the company has already built in other parts of the world. To date, Hyundai has delivered 544 units of the ix35 throughout the world. More than 250 of these fuel cell vehicles have been delivered in Europe, where clean transportation is experience a strong period of growth. The initial launch of the ix35 has provided Hyundai with a chance to acquire more experience with fuel cell technology, which has allowed the automaker to make significant improvements to its technology for its new vehicle. This new technology is come in handy, as Hyundai intends to play a major role in the clean transportation space in South Korea and beyond. The South Korean government has plans to bring 10,000 fuel cell vehicles to the roads by 2020. In order to accomplish this, the country will need to expand its hydrogen fuel infrastructure. Without fueling stations, fuel cell vehicles will have trouble attracting the support of consumers. The government has been investing in the construction of new fueling stations, however, which will go a long way in promoting clean transportation in the coming years.